It has been a tough week already for those that heat their homes in Britain (and those that trade Natural Gas). 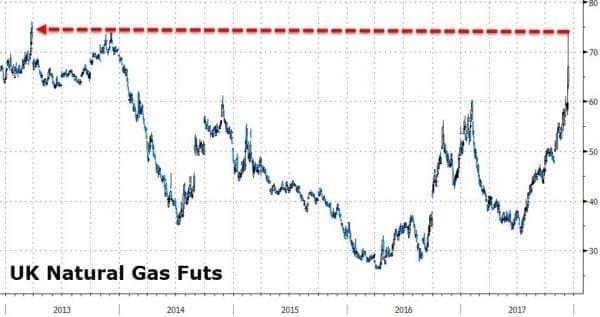 Following extreme weather warnings and the forties pipeline crack shutdown, an explosion at one of the Europe’s biggest gas hubs further tightened supplies sending gas futures prices up by the most in 8 years. 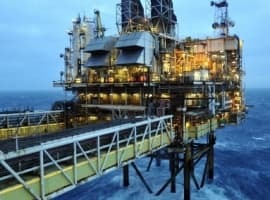 As Bloomberg reports, gas futures rose the most in more than eight years in Britain, which already is struggling to absorb the impact of a crack that shut down a North Sea pipeline network. After snow fell for two days in London, cooler-than-normal temperatures spread from the Alps to Scandinavia, raising demand for heating fuels. 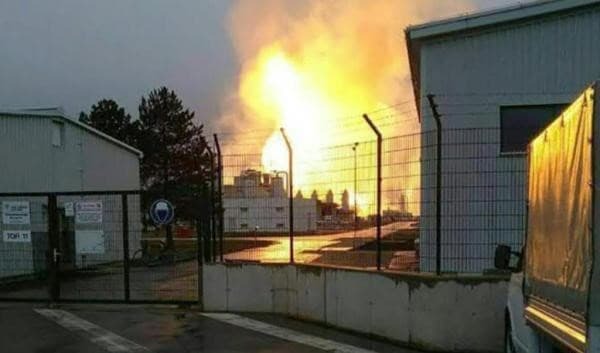 An explosion at around 9am at Austria’s main gas pipeline hub, left one person dead and 18 injured, according to police. The facility about 50 kilometers (31 miles) northeast of Vienna transports the equivalent of a 10th of Europe’s gas demand. Fire engines, ambulances and a rescue helicopter have reportedly been deployed to the area, and all work has been halted at the site. "Eighteen people are injured and one is dead," police chief Markus Haindl said, as quoted by Sputnik. He added that "technical problems" caused the explosion, and that there was "no indication of terrorism." Several media outlets previously put the number of people injured at around 60. Related: Are NatGas Prices About To Explode? 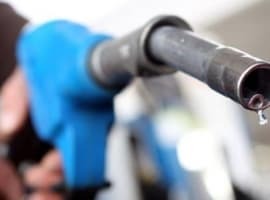 ”It is the worst possible time for a big gas hub to burn, since capacity is needed ahead of the winter and it changes the expectations of how much gas there will be available,” said Arne Bergvik, the chief analyst at Swedish utility Jamtkraft AB. 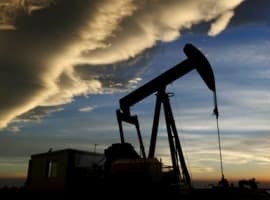 Britain felt the threat most acutely, since it lacks the gas storage sites and web of interconnections that link markets across continental Europe. As Bloomberg concludes, U.K. is more vulnerable than normal this winter because Centrica Plc is closing the nation’s biggest storage site after more than 30 years. The Rough facility was able to meet as much as 10 percent of peak winter demand but that is now much reduced as it pumps out its last remaining fuel. Back up the truck, time to load up or is it too late?